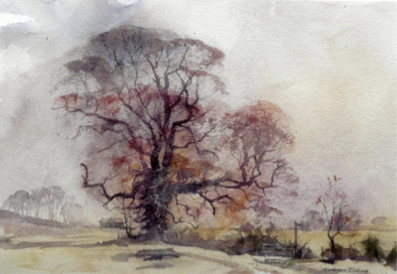 Graham’s watercolours are based on pencil sketches or colour roughs. He works ‘on the spot’ or refers to his collection of sketches and photographs, compiling a composite subject. ‘Finding a subject can be the most difficult part of producing a painting- so a lot of time is spent looking- once found though it is usually very obvious’.